1. In a small bowl or a jar with a tightly fitting lid, combine lime juice, rice vinegar, sweetener, and salt. Add olive oil and whisk or shake vigorously until well combined. 2. Add red onion and set aside for 15 to 30 minutes. 3. 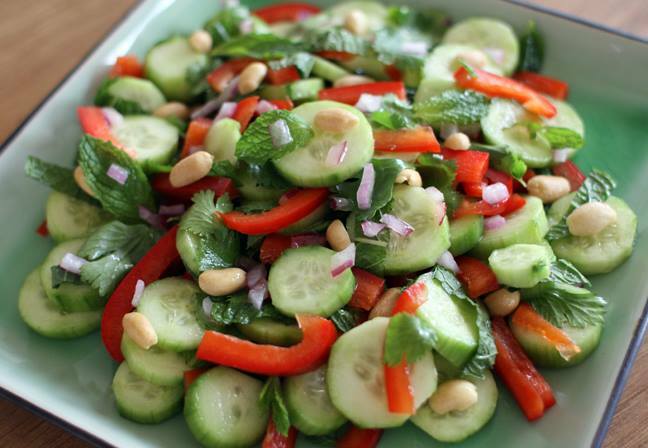 In a medium bowl, toss cucumbers, bell pepper, cilantro, mint, and peanuts. 4. Add dressing and mix well. 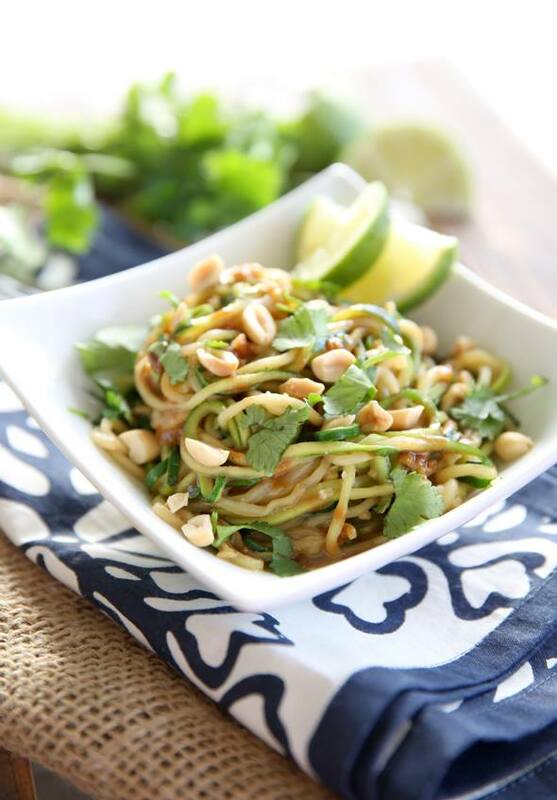 Run your zucchini through a Spiralizer to form noodles. Place zucchini in a large mesh strainer over a bowl or the sink and toss with a sprinkling of kosher salt. Let sit for 30-60 minutes, till much of the liquid is extracted. Press zucchini with a few paper towels to absorb any excess. Place chicken broth, powdered peanut butter, regular peanut butter, Stevia and soy sauce in a very small sauce pan and whisk to combine. Set aside for a moment. Heat an extra large skillet to medium high heat and add olive oil. Add garlic and ginger and stir until fragrant. Add zucchini noodles and toss often with tongs for 2-3 minutes. While zucchini is cooking, turn heat on peanut butter sauce. Heat until simmering, constantly stirring, until hot and bubbly. Mixture should thicken within a minute or so. Set aside. When noodles are tender-crisp, add peanut sauce and toss to combine. Add green onions and cilantro and toss well. Serve immediately and squeeze a fresh lime wedge over each serving. Top with nuts and additional green onions and cilantro if desired. Serve with Protein such as chicken breast. 2. In large bowl, mix riced cauliflower, 1/4 cup shredded reduced fat mozzarella cheese, 1/4 cup shaved reduced fat parmesan cheese, 1 egg, 1/4 tbsp minced garlic, 1/4 tbsp chopped basil, 1/4 tbsp Italian seasoning, salt and black pepper to taste until combined and holds together. 3. Place the mixture onto the parchment pined baking sheet and spread out into rectangle about 9×7″ and 1/4″ thick. 4. 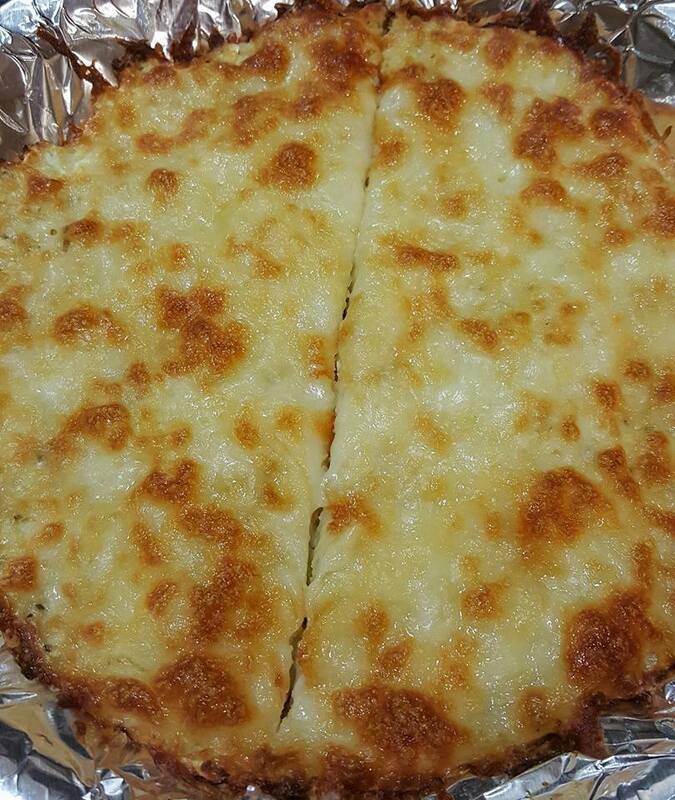 Bake in preheated oven for 10-12 minutes. 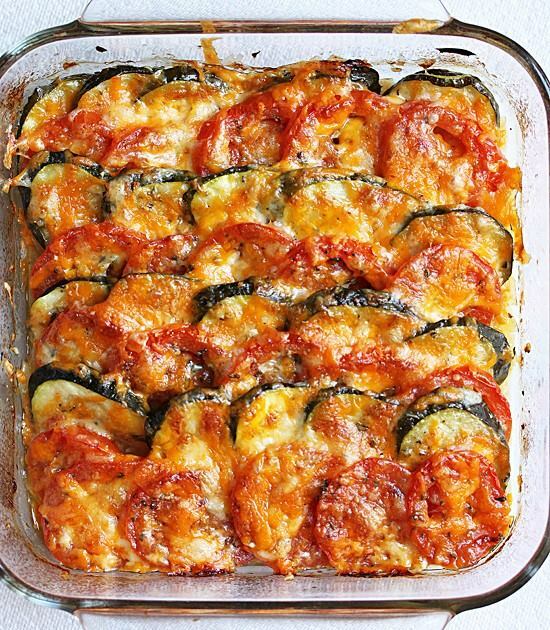 Remove from oven and top with 1/2 cup shredded Reduced fat mozzarella cheese and return to oven to continue baking until cheese is melted and starting to turn brown. Cool about 10 minutes and cut into “breadsticks”. 1. Prep the ingredients: Chop the mushrooms, onion, and tomatoes. 2. Beat eggs and Greek yogurt with whisk until well blended. 3. Pour mixture into greased 8×8” baking dish. 4. 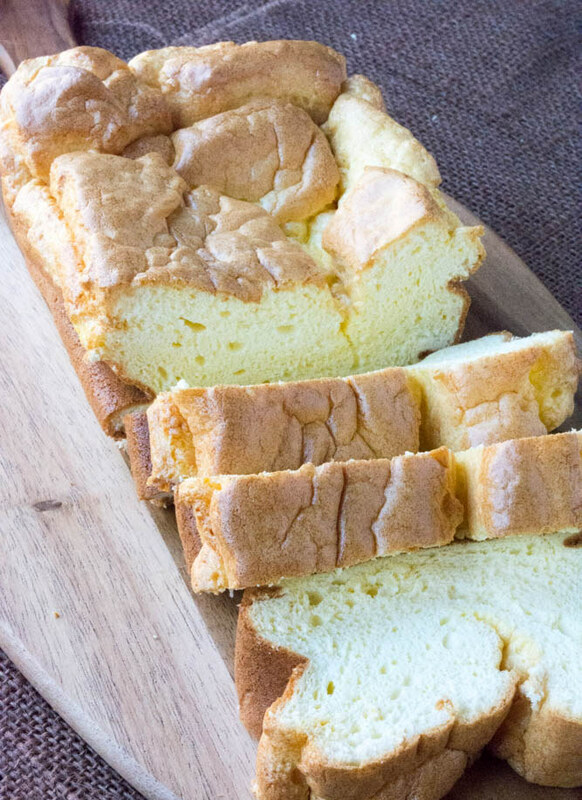 Bake at 350°F for 10 minutes, until egg mixture is softly set. 5. Meanwhile, cook recipe crumbles, mushrooms, and onions in large skillet on medium heat for 6-8 minutes, until crumbles are done. Stir occasionally. 8. Spoon tomatoes over egg layer. 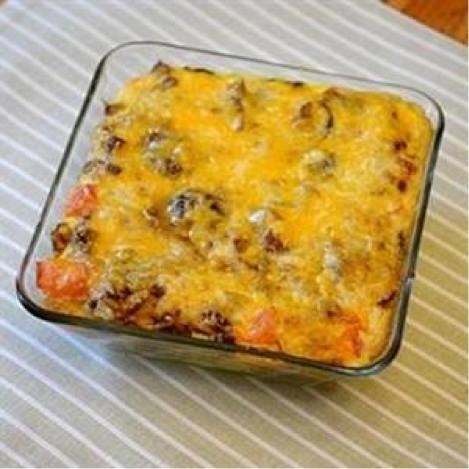 Cover with recipe crumbles mixture and cheese. 9. Bake 30 minutes until center is set. In a medium bowl mix together eggs, celery, green onions, salt, pepper, mayo, and mustard. On each piece of lettuce place 2 strips of bacon. 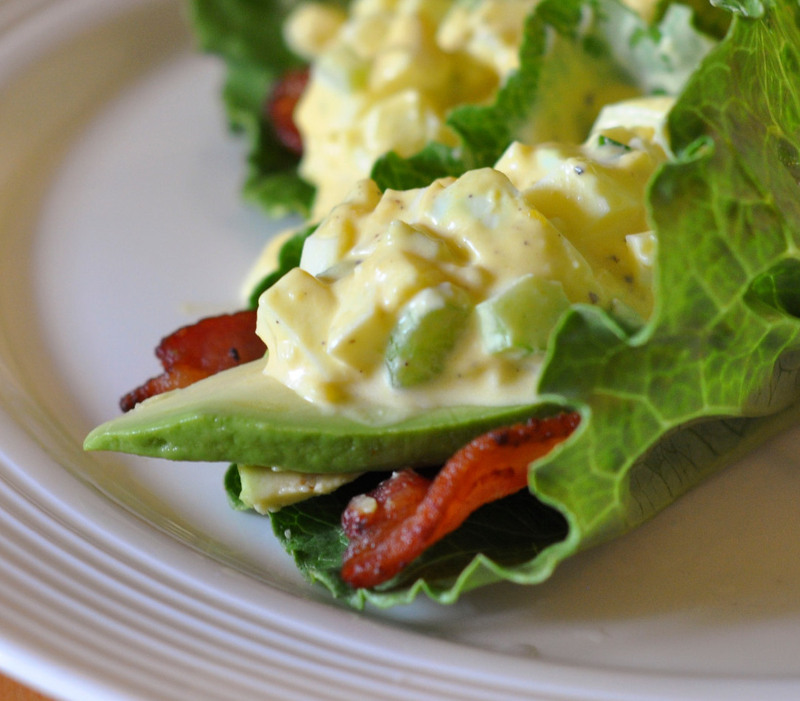 Top the bacon with a spoonful of the egg salad and a couple of the avocado slices. 1. Preheat oven at 300 degrees F.
2. Place your egg whites in a stand mixer with the cream of tartar and whip until stiff peaks. Set aside. 3. Place the egg yolks in a bowl with the remaining ingredients and stir well to combine. 4. Fold in a small amount of egg whites into the yolk mixture a little at a time until it’s all incorporated. 5. Pour this into a greased loaf pan. 7. Allow to cool before removing and slicing. 1. Place the shredded cabbage into a large bowl. 2. Whisk the rest of the ingredients together. 3. Pour dressing over the cabbage and stir until all combined. 4. Taste and adjust salt and pepper if needed. 6. When ready to serve squeeze the lemon juice over the top and toss once more before serving. 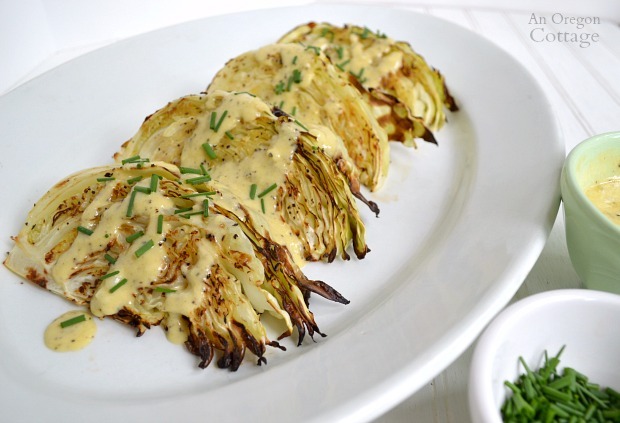 Thinly slice cabbage, using a mandoline slicer if you have one. Slice green onions, and wash, dry and chop cilantro. (I use a Mini salad spinner to wash herbs and spin them dry.) 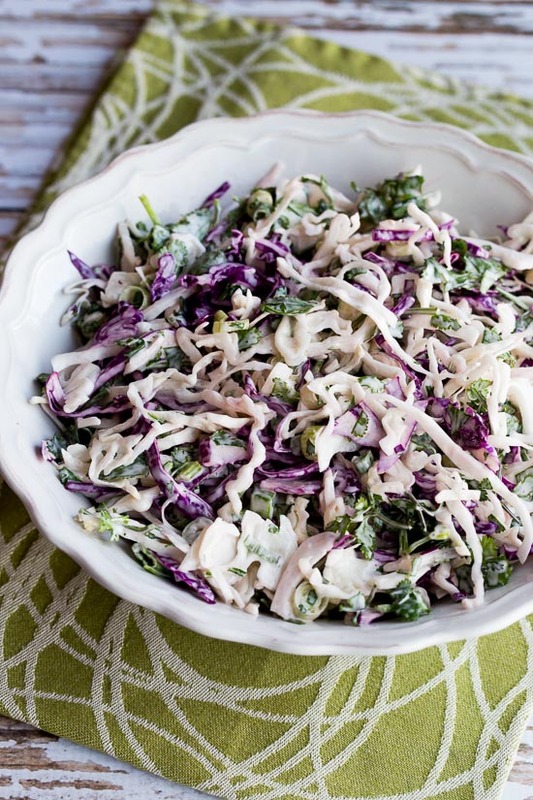 Combine cabbage, green onions and cilantro in large salad bowl. 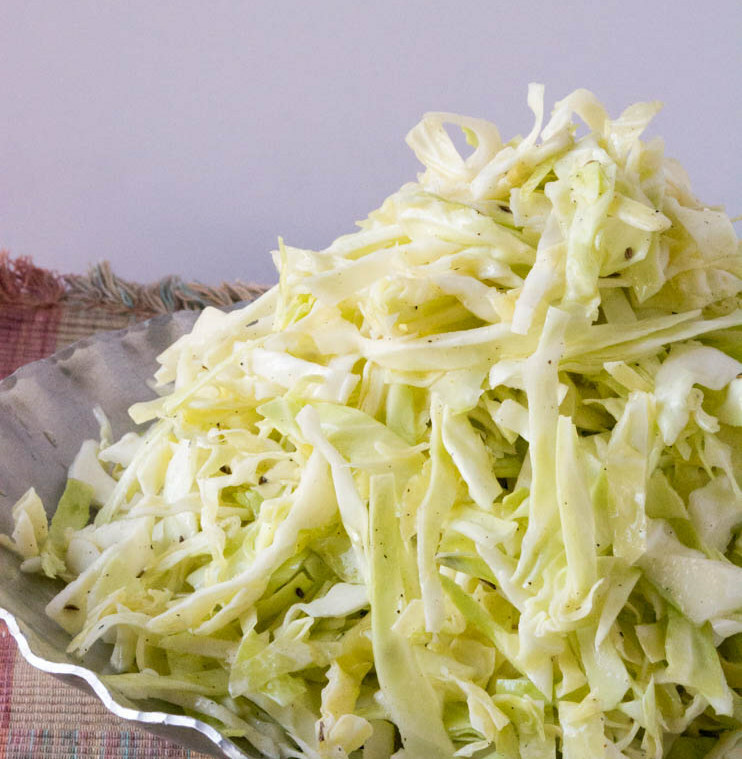 Use a wooden spoon to mix dressing into cabbage mixture. Season to taste with salt and serve immediately, or chill for a few hours. This salad will keep well overnight in the refrigerator, but the lime juice will cause the red cabbage to bleed color and turn the salad slightly pink. If you’re making extra you might want to use all green cabbage, although I didn’t mind the pink color at all when I ate the leftovers! Another good strategy if you’re not cooking for many people is to chop the cabbage and green onion and mix the dressing for the full amount and store in the fridge, then chop cilantro and stir salad together in smaller amounts as you’re going to eat it.